The following students form the Student Council 2019 - 2020. NILKANT House-Captain HARINI L - 11B. 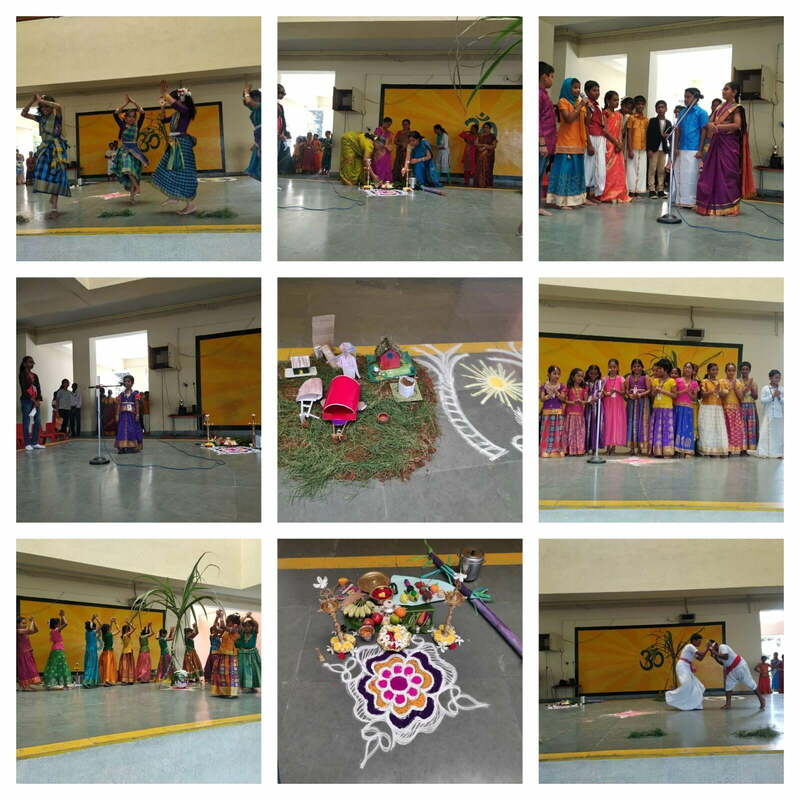 The Primary school wore a festive look as Pongal-the harvest festival was celebrated with great fervour. The students attired in bright and colourful traditional costumes reigned in a bountiful and blissful month of 'Thai'.Evoking the blessings of the Sun God , the celebration commenced with the Lighting of the lamp by the Principal.The students entertained the audience with folk music and dance, setting the mood of joy and celebrations. consolation prize. Shreenivedita of class 8 - got a special mention on Special Recitation. Daksika.G - 1D,Pragati.D - 2B, Sai Saathvika.R.K - 3B, Mahadeeya Fatima M - 4A,Shivani B - 5A,M Ramya - 6C, Koushiic Padmanabhan - 7A,Haresh M - 8C, Biancaa R - 9A, Keerthana Kumar -10B,R Sreepriya - 11B and Rithikha V - 12C. 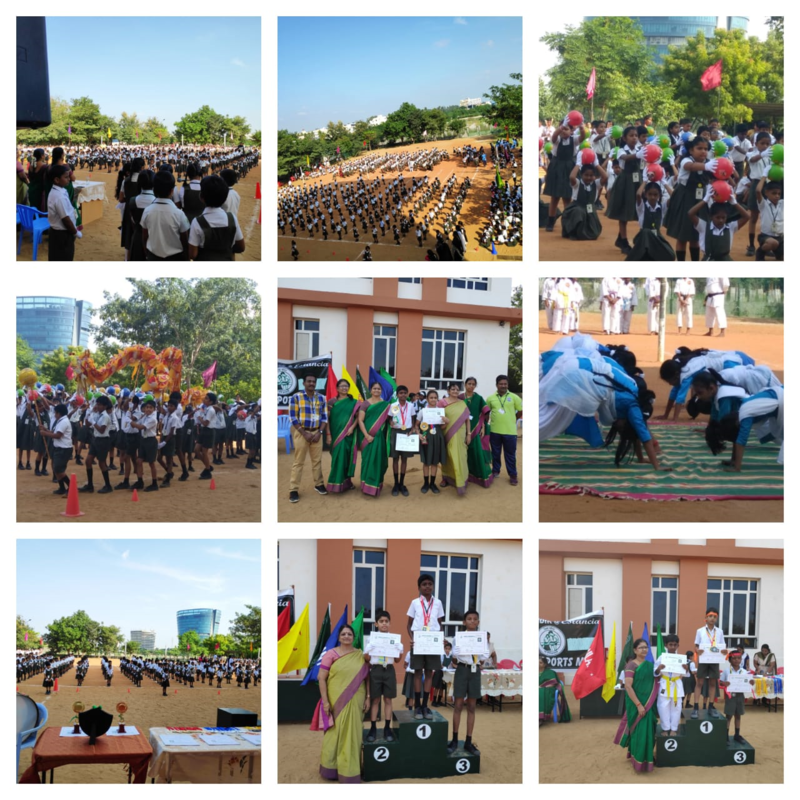 Maharishi Vidya Mandir School, Avigna Celeste, organized MVM MUN 2018. 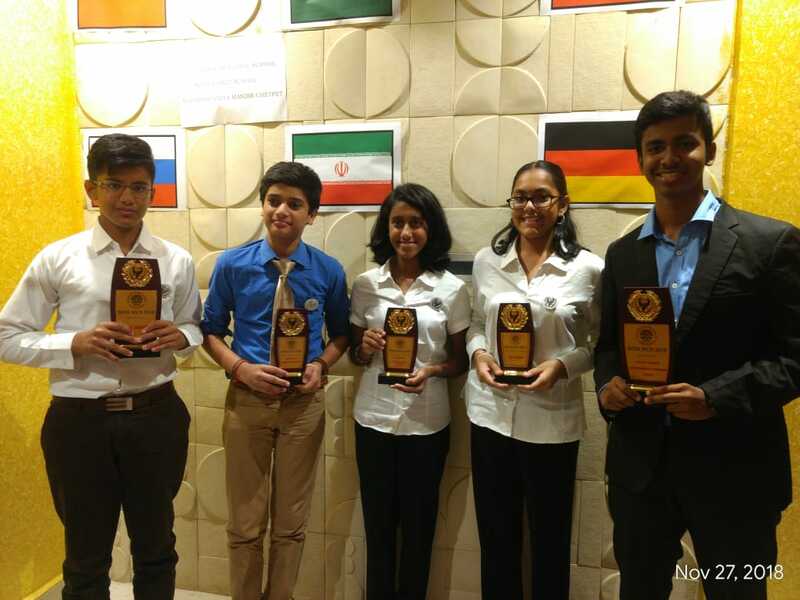 Two of our students, Avinash Kashyap and Sangamesh S Davey, got the Best Delegate Awards for the UNEP Committee and Lok Sabha Speaker respectively. Sreepriya R, Agasthya and Talia Manoj got the High Commendation Awards for Lok Sabha, UNSC and DISEC respectively. There were many first-timers in this delegation. The IVY League Model United Nations Conference, India was hosted by the International Affairs Association of the University of Pennsylvania, at Bangalore. 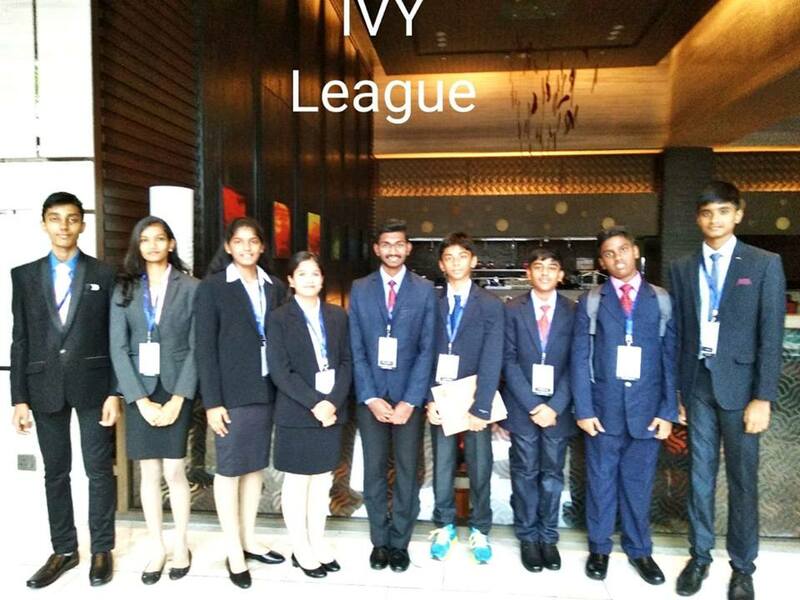 Nine students from our school participated in the IVY MUN. It created a holistic learning experience with leadership forums, global networking events and skill training workshops. 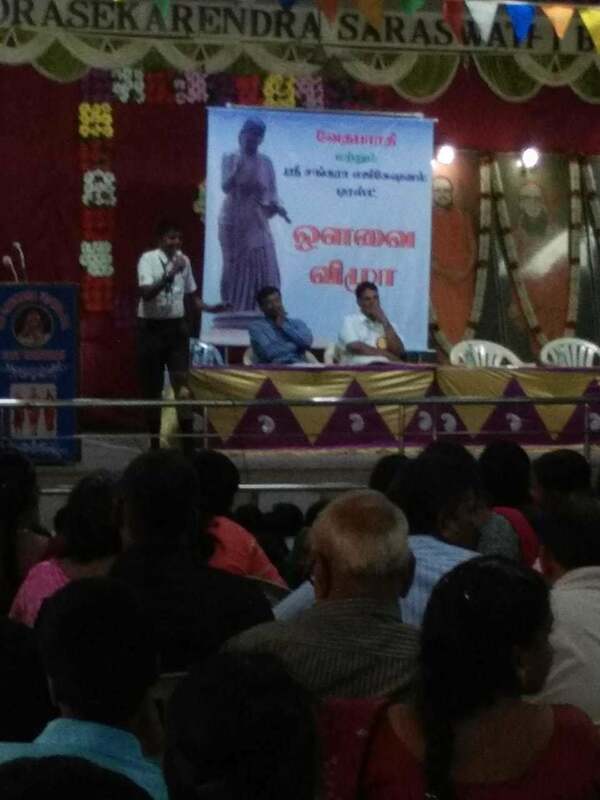 Vedabharati organised AVVAI VIZHA 2018 at Sri Sankara Matriculation Higher Secondary School, East Tambaram. 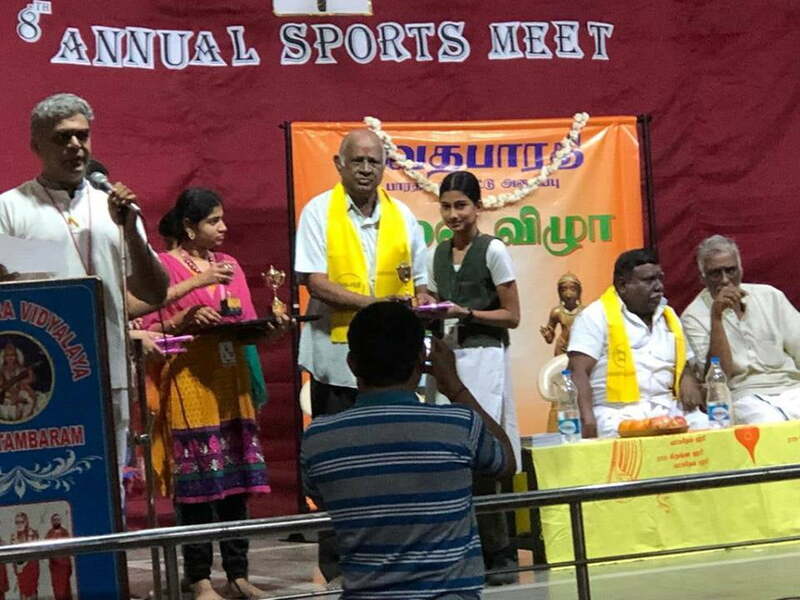 As a part of that recitation and elocution competitions were conducted in Tamil. Students from classes 3 to 8 participated. 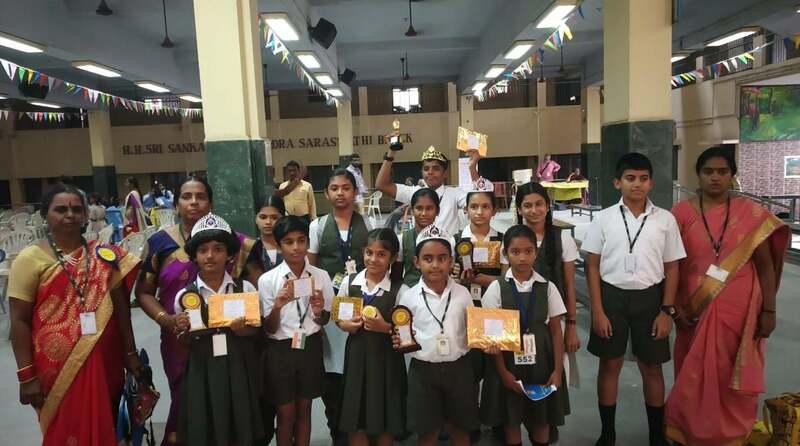 Saipranesh of 3A, Srivarsha of 4A,Avantika of 5B,Saisatvika of 3B,Sanjith of 6A, Bhargavi of 7A, Mukul Dhaswanth of 8A,Mithun of 7A won prizes. International Yoga Day is celebrated on the 21st of June every year. Yoga is an age-old practice that boosts the physical, mental and spiritual well being. Understanding the need to inculcate the practice of Yoga among the young students, the day was observed at Vidya Mandir@Estancia with fervor. 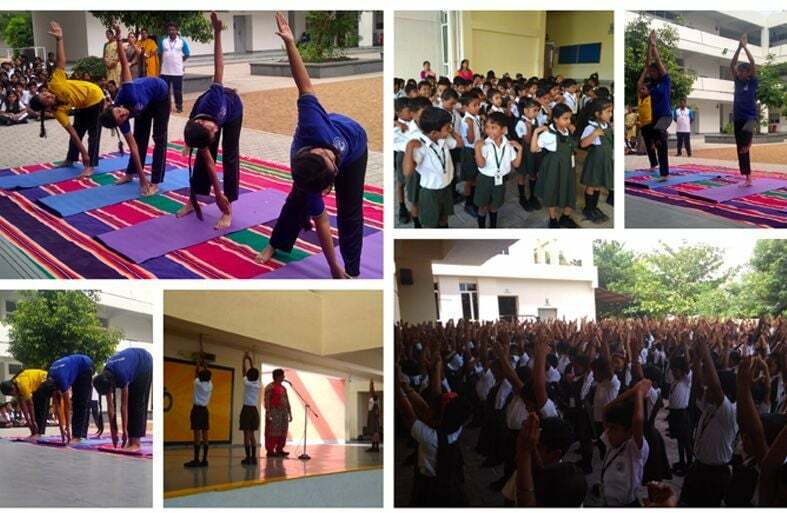 Few students demonstrated some aasanas and performed Surya Namaskar in the School Assembly. As a yearly ritual, VME started its activities with great enthusiasm and excitement with its 9th Clubs inauguration. The Chief Guest Mr. B.R.S. 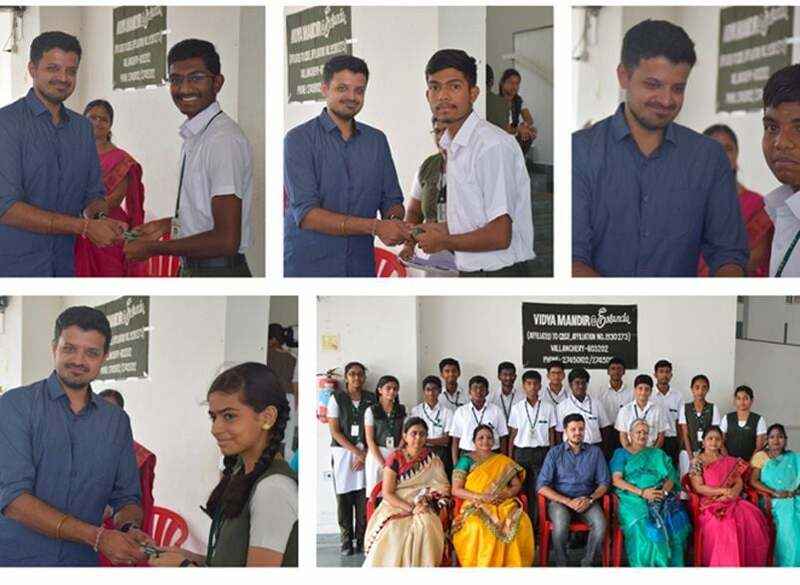 Sreenag - Specialist in Industrial and Architecture Photography addressed the students and presented the Badges to the Presidents and Secretaries of the clubs. At VME we believe that school clubs play an important role in children’s development because they provide them with opportunities to undertake activities that they might not have access to on a regular basis. Clubs also develop a student's social skills and helps build Team work. The air was filled with ecstasy and joy as the VME Alumni association was inaugurated on the 11th of June 2018. 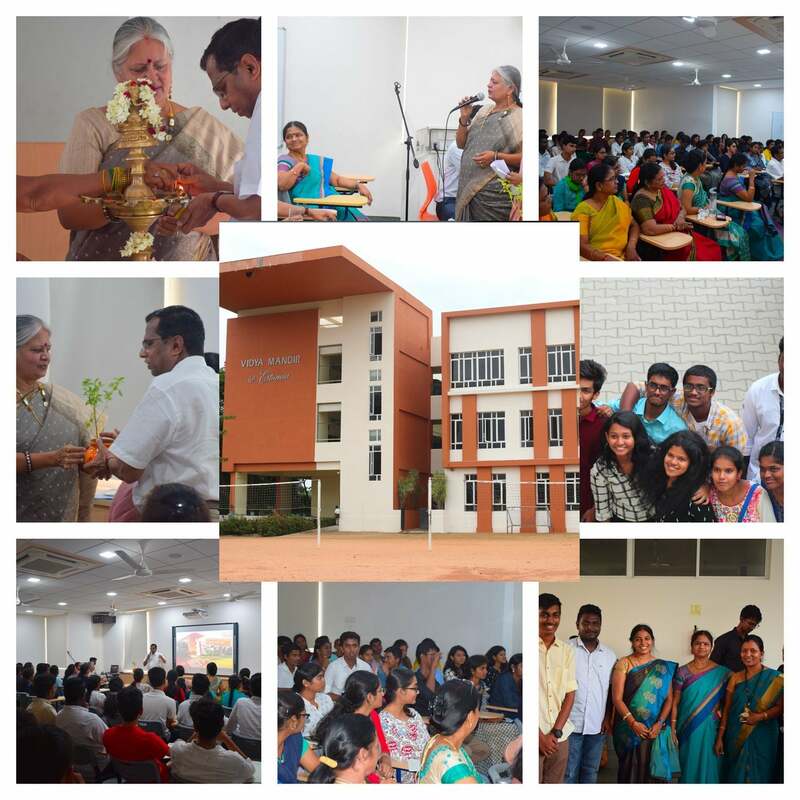 Mr. M.Kannuswamy, President of the Alumni Association, Vidya Mandir, Mylapore graced the occasion with his presence. The spirit of reunion was a delight to behold. WFUNA International Model United Nations(WIMUN) was conducted in Jaypee Palace, Agra from the 27th to the 30th of April 2018. VME'S delegation contained 8 delegates participating in 5 different committees. Sreepriya. R and Tejas Manoj Thariyan were the elected vice-chairs of the two General Assemblies. Nithinrhaj, the delegate of Jamaica from General Assembly presented a speech regarding his country's stance in the opening plenary. Here's a small video on the WIMUN experience shared by the delegates. Pictures showing the Youth club in action collecting relief goods for the victim of Kerala floods 2018.